The social enterprise and APEC green, electric mobility partner and electric vehicle maker EMotors, Inc. (EMI) partners with the Philippine Retailers Association (PRA) for a zero-emission transport collaboration for the 25th National Retail Conference and Expo on August 9-10, 2018 at the SMX. The partnership is delivering on both EMotors’ and PRA’s commitment to environmental protection using clean, green, eco-friendly transport to create awareness and set the benchmark on sustainability initiatives. PRA’s members include large retailers namely SM, Robinsons, Wilcon, among others, together with the growing number of SMEs forming an integral part of the association’s membership. It is a first for the association to use sustainable electric transport as part of their annual event. The partners will provide free ZÜM e-shuttle transport to convention goers for the duration of the event where more than 800-member retail companies and more than 3,000 expected participants and guests to include regional speakers hailing from Singapore, Thailand, among others are to attend. “Environmental protection is an important sustainability initiative which our member companies care about. 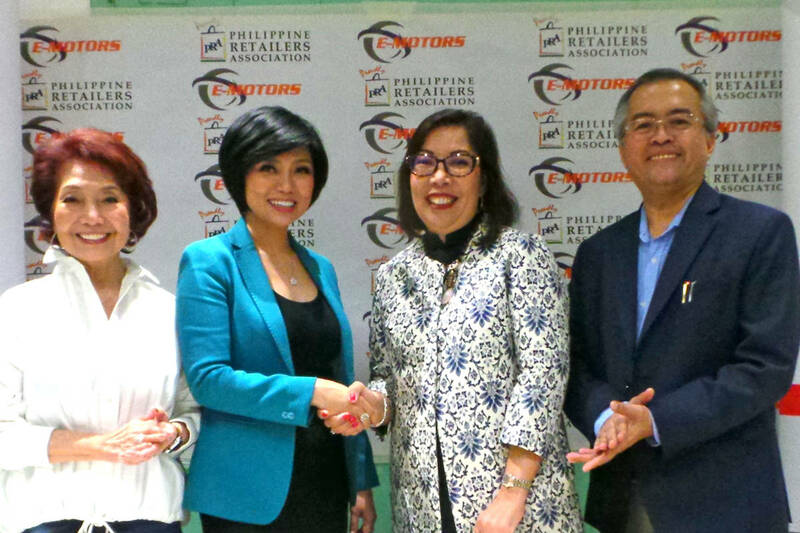 The collaboration with EMotors is a great way to showcase the ease of use of e-vehicles that creates a positive impact not only on the environment, on health & wellness, but on cost savings as well,” says newly installed PRA President Ms. Rose Ong. “We are delighted to tie up with PRA. The partnership is driven by our desire to create awareness and help mitigate the effects of climate change by lowering our carbon footprint while enjoying the benefits of using a clean, green, easy & economical, e-vehicle to serve transport needs,” says Elizabeth Lee, EMotors President.